A news story caught my eye and I think it’s worth sharing as a reminder to active-duty servicemembers in California that you have certain rights regarding the early termination of lease agreements. When Army Capt. Gregory Funk was deployed to Qatar, he knew he would be gone for up to a year, so he terminated his lease with United Communities by sending them a written notice along with a copy of his orders. While he was released from the remainder of the contract, he was told he had to pay back the lease incentive of nearly $900 he had received. Funk paid it but also filed a complaint against United Communities who ultimately had to pay $45,000 in damages, plus an additional civil penalty of $17,500. Why was the landlord ordered to pay these damages? Because what he did when he demanded repayment of the lease incentive was illegal under the Servicemembers Civil Rights Act (SCRA), which states, The lessee on a lease described in subsection (b) may, at the lessee's option, terminate the lease at any time after the servicemember, while in military service, executes the lease and thereafter receives military orders for a permanent change of station or to deploy with a military unit, or as an individual in support of a military operation, for a period of not less than 90 days. Simply put, if you sign a lease and are later issued a permanent change of station or are deployed for more than 90 days, you can terminate the lease with no penalties. In Funk’s case, the landlord, United Communities, should have been well aware of this law given that they lease exclusively to members of the military in privatized housing on military bases. It’s likely that they did know, but hoped to get away with it because they weren’t technically charging an early termination fee, instead they were demanding the return of an incentive. However, the DOJ finding makes it clear that any kind of penalty when a servicemember is deployed is not legal. This Case Is Not Unique! In another recent case, the owner of an apartment complex near a military base was ordered to pay over $96,000 in damages for charging servicemembers for early termination of leases. It doesn’t matter who you are renting from or whether you are in military housing or not, if you get PCS orders or are getting deployed, you cannot be charged for terminating a lease. 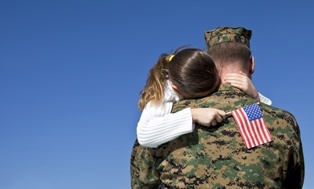 In California, if you are leasing from Lincoln Military Housing or a property owner off base and have been told you will be charged a fee or that you will forfeit a down payment or a pre-payment, call me for help. As these recent cases show, not only can I probably get you out of paying the fee, but you may be owed additional compensation. Now that you know your rights—don’t stand for violations of those rights. I will help you fight back—even after you have shipped out!